How to get rid of "Retrieved from" in references? 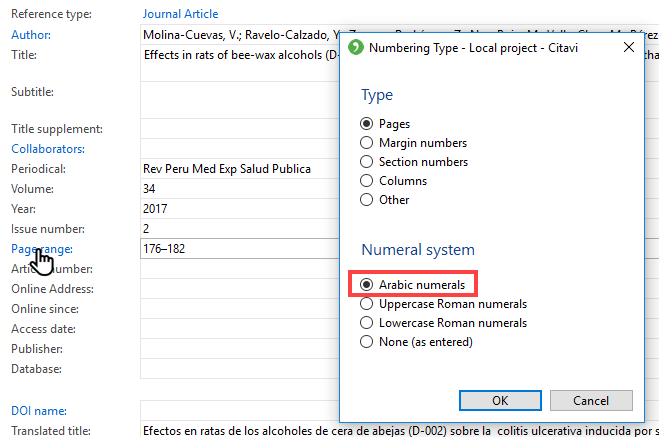 the reference list created has two entrys where the journal listing is missing the pp before the page numbers. The page numbers are registered in the field and the numbers are there as well only the pp is missing. Since it will not last I cannot correct this laps. I tried to figure out why these entrys behave diffrently. Deleted the page numbers and rekeyed them, but it did not help.